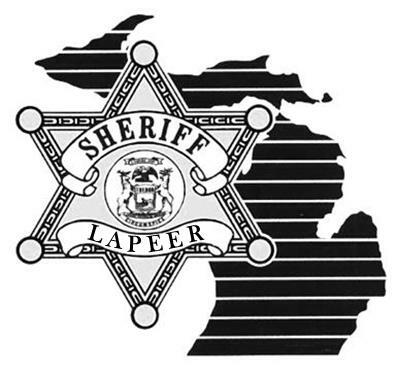 On Monday 01-11-2016 at 6:50 PM, Lapeer County Sheriff’s Deputies responded to an injury traffic on Columbiaville Road to the west of N. Lapeer Road in Columbiaville (Deerfield Township- Lapeer County). James Hinman was driving 2006 Buick Lucerne west on Columbiaville Road. James Hinman’s wife Peggy Hinman was the front seat passenger. James Hinman lost control and crossed into the eastbound lane of Columbiaville into the path of a 2004 Subaru Outback driven by a 29 year old man from Columbiaville. The collision was broadsided with the front of the Subaru striking the passenger side door of the Buick. Both vehicles subsequently departed the south side of the roadway. James Hinman and Peggy Hinman were pronounced deceased at the scene. The 29 year old Columbiaville man was transported to McLaren- Lapeer with non-life threatening injuries. The Lapeer County Sheriff’s Office was assisted at the scene by Deerfield Township Fire and Rescue. The roadway was closed for approximately 2 ½ hours for rescue and investigative purposes. Preliminary investigation supports that neither alcohol nor excessive speeds were factors in this traffic crash. Weather and roadway conditions may have been a factor. The traffic crash remains under investigation by the Lapeer County Sheriff’s Office. Anyone with information is request to contact Detective Sgt. Jason Parks at 810-245-1381.